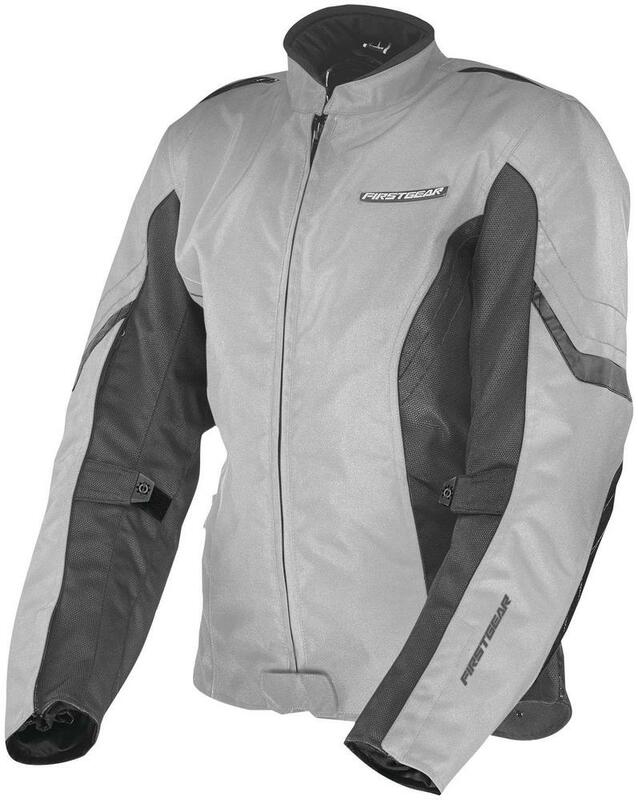 Go further with the Contour jacket from Firstgear, constructed from 600D, 100% polyester with high abrasion protection from removable, CE-approved Level 1 Knox Micro-Lock armor at the shoulders and elbows, double layer elbow panels with a foam insert for impact protection and a rear armor pocket shaped to fit the CE Level 1 or 2 Knox Micro-Lock back protection (optional, jacket ships with foam backpack). Features a 100% polyester mesh, moisture-wicking and anti-mircobial liner and waterproof, breathable membrane insert to keep your core dry in wet weather. With better fit and function, the Contour Jacket is specifically designed for women riders.. Waterproof, breathable, 600 Denier polyester outer shell construction. Pre-curved sleeves. 100% polyester mesh, moisture-wicking, anti-microbial liner. Removable, insulated, full-length liner with color-coded attachment tabs. Soft but durable rolled neoprene collar edging. 360deg. reflective panels on the front, side and arms for increased visibility. Internal phone and map/cargo pockets located on both the fixed and removable liners. Expansion zipper with self-gusset at the sides for comfort in the sitting position. Rear armor pocket is shaped to fit the CE Level 1 or 2 Knox Micro-Lock back protector (optional, jacket ships with foam backpack). Removable CE-approve Level 1 Knox Micro-Lock armor at the shoulders and elbows.